Polish skin after a long day in the sun with the exfoliating currant and sandalwood body scrub made from this kit. A day at the beach can cake on salt and sand on the body. 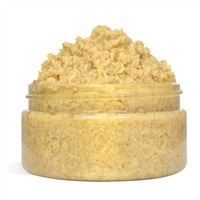 Use this scrub to exfoliate and help slough off the beachy remnants from your skin. 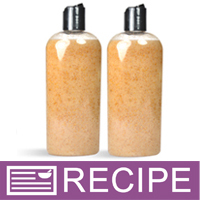 Poppy seeds, walnut shell powder and apricot seed powder all add gentle exfoliating properties to this scrub. 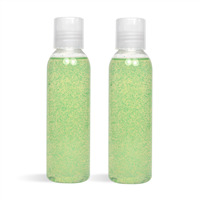 Additionally, it has a botanical extract and hemp seed oil to moisturize your skin. Enjoy the appealing blend of wild currants, dried berries and warm sandalwood in this awesome scrub! You Save $20.85 by purchasing this kit rather than buying the items separately. Water, Ammonium Lauryl Sulfate, Glycerin, Disodium Cocamido MIPA Sulfosuccinate, Cocamidopropyl Betaine, Propylene Glycol, Acrylates/C10-30 Alkyl Acrylate Crosspolymer, Hemp Seed Oil, Poppy Seeds, Polysorbate 20, Fragrance, Disodium DMDM Hydantoin, Walnut Shell Powder, Apricot Seed Powder, Calendula Extract, Sunflower Extract, Aloe Extract, Irish Moss Extract, Marshmallow Root Extract, Phenoxyethanol, Benzoic Acid, Dehydroacetic Acid. "What is the recommended selling price per bottle? " Staff Answer We recommend calculating the price for our kits based on how much you purchased the kit ingredients for, your time as well as pricing of similar products in the location you are selling.